When you register with us and spend just £10 or more, we will let you choose your flavour of FREE 210g of Whey Protein 360 OR 210g of Vegan Protein! 1. Click the button below and register an account with us. 2. Once in the registration section, enter code:DH106 in the TPW™ Referral Code box. 3. 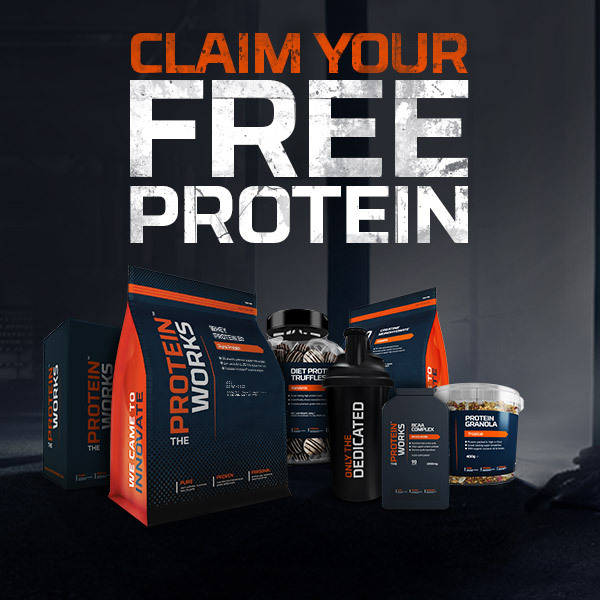 Now you're registered, raid the site and spend £10 or more and select your FREE PROTEIN from the pop-up box at checkout!